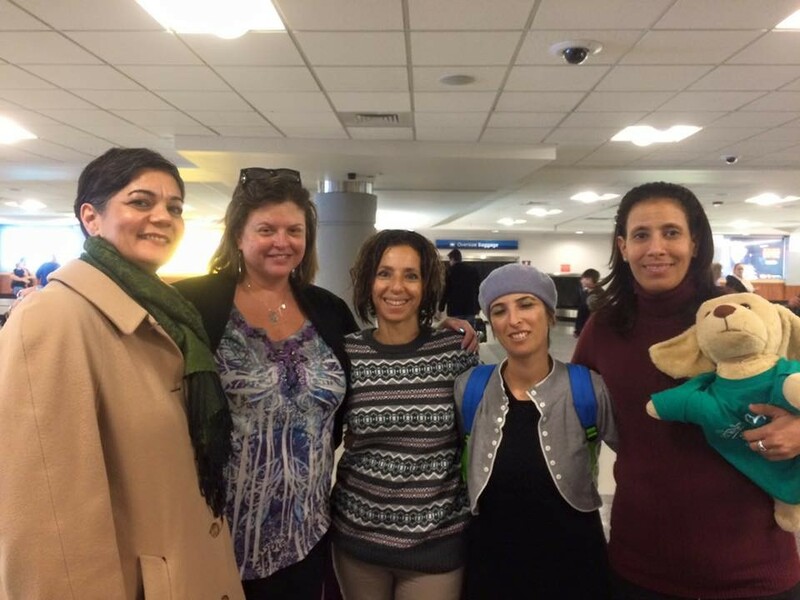 Four Israeli Educators visited Richmond Dec. 11-14 as part of the Partnership 2Gether Educators exchange with our sister community Hadera-Erion, Israel. Previously the educators spent time in Chattanooga, Tenn., one of the other American partnership communities. Each educator spent time with host educators in schools within the community – public and private – as well as spending time in the area religious Sunday schools. Many thanks to the teachers and administrators at Henrico High School, Douglas Freeman High School, Rudlin Torah Academy, Weinstein JCC Preschool, Congregation Or Ami, Congregation Or Atid and Congregation Beth Ahabah. The group also participated in many of the communities’ Hanukkah events including the final night at the Weinstein JCC. During their stay, they were home-hosted by community members. Many of the religious schools participated in the annual Jewish peoplehood program. This year’s theme is “We Came to Drive Away the Darkness”: Between Darkness and Light. This was the 9th anniversary of the peoplehood program. Other Richmond community educators who took part in the visit are: Hana Hecht at Freeman High School; Rabbi Yosef Bart and Devorah Arnowitz at Rudlin Torah Academy; Donna Peters and Dawn Kowal at the Weinstein JCC Preschool; Ramona Brand at Beth Ahabah; and Rabbi Royi Shaffin at Or Atid. Next December, Richmond educators will have the opportunity to travel to Israel for the reverse exchange. If you are a community educator (in public, private or religious school setting) you are eligible to participate. Contact Sara Rosenbaum, JCFR director of operations at 804-545-8629 or srosenbaum@jewishrichmond.org for more information. Do Good Everywhere. From Anywhere.